If you've noticed lately that Google search results is a bit of spam, you're not alone. 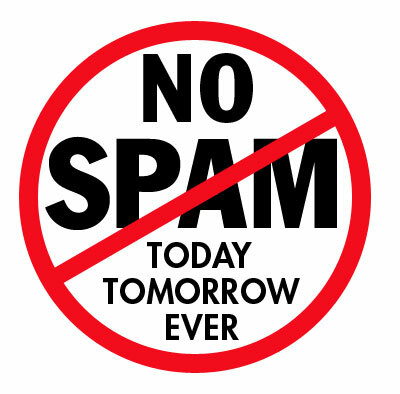 In a blog post, Google senior engineer Matt Cutts acknowledged that "we have seen a slight increase in spam in recent months, and the tech pushes critical observers. Cutts then introduced new initiatives to improve the quality of Google search results. Among them: Google has a new "document-level classifier, which detects the best features of spam, such as key words often repeated, and Google is improving its ability to detect the hacked sites, which were a major source of spam last year, and is considering other changes, including a campaign against websites that are mainly copying content from other sites. But the question of "farm content" Cutts does not have all the answers. If you are not familiar with the term, you probably met some sellers of content. For example, many people call the media sites and content companies AssociatedContent Demand Media. A lot of search terms, and are cheaper products, the content of these sites is clearly visible in search results, but apparently only directed towards the mitigation of search algorithms. While Google has optimized algorithms to provide its content in plants, less weight, the problem has not disappeared, and blog posts Cutts' is not offered any solution. "The fact is that we are not perfect and, along with skyrocketing expectations of users of these weaknesses, the idea of Google to get larger," he wrote. "However, we can and must do better." Cutts has confirmed that the sites do not receive preferential treatment for the acquisition or display of Google ads. Their charts are not a cure and are just as likely to be punished for violation of Google's quality guidelines. I suppose it's comforting to hear the address as a Google search, especially when the criticism is increasing. In particular, the new search competitor Blekko spam has created a clock to calculate how many pages of spam have been created since the beginning of many. Google says that its results are semi-spam, five years ago, but the amount is insignificant, if poor quality, the content of the factories are able to cheat the system and get a good page ranking high. With co-founder Larry Page of Google CEO intensification is driven to improve research while cultivating new projects such as software and social networks. Hopefully Cutts blog "is only the beginning.